Realistic Animal Ski Masks By Beardo | Nerd Much? Each ski mask has a picture of the animal's face printed in HD designs. 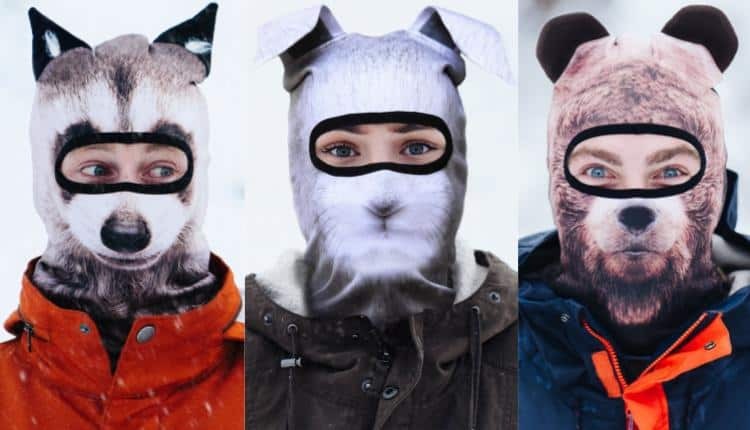 If you happen to be in the market for some winter wear during this nasty cold snap, the Realistic Animal Ski Masks By Beardo are a cute and stylish choice. You can find almost any animal in this series, including a bunny, raccoon, and a bear. The cutest part are the ears, of course. The bunny has long floppy ears, the raccoon tall pointed ones, and the bear has adorable rounded ears. Each ski mask has a picture of the animal’s face printed in HD designs that are “ultra realistic.” So much so that the masks look like the nose of the animal is actually three dimensional. The material is an “element-repelling Polyester Flex,” meaning it will stretch over just about anything and will protect you from wind and sun. To what degree is not made perfectly clear, but it does have an SPF of 50. The ski mask is lined with fleece for better insulation that is good up until -16C. Not much, but ski masks are supposed to be the first of many layers if where you live goes below that temperature. These Realistic Animal Ski Masks By Beardo are priced at $34.99 USD. This price is definitely on the expensive side for something that doesn’t even hold up to -20C, but again that really depends how cold it gets where you live. It’s really the HD animal print you’re paying for, of course, that is done very well. Beardo managed to print a lot of detail for each animal face, down to the fine fur and subtle shadows that make the nose and face pop when when someone wears the ski mask. If you think the Realistic Animal Ski Masks By Beardo would make a great set for the entire family, each mask comes in adult and junior sizes. This way, the next time you go on the skiing trip, it will be a lot easier to find your fellow family member with these very unique masks.